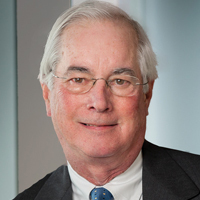 Richard Few is a partner at Parker Poe Adams & Bernstein LLP, a regional law firm. He is a corporate attorney with a focus on strategic business planning, commercial and public financings, and provision of economic incentives to businesses relocating or expanding in South Carolina. Richard serves as Coordinating Council for South Carolina Department of Commerce’s Economic Development Advisory Committee. He also serves on the South Carolina Chamber of Commerce Board of Directors as a member of the Tax Committee.